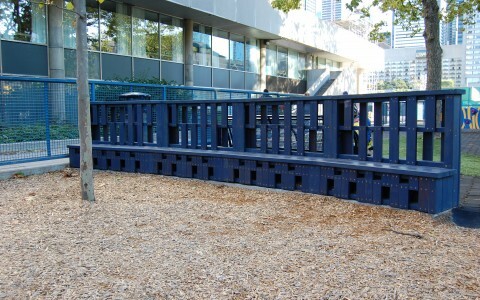 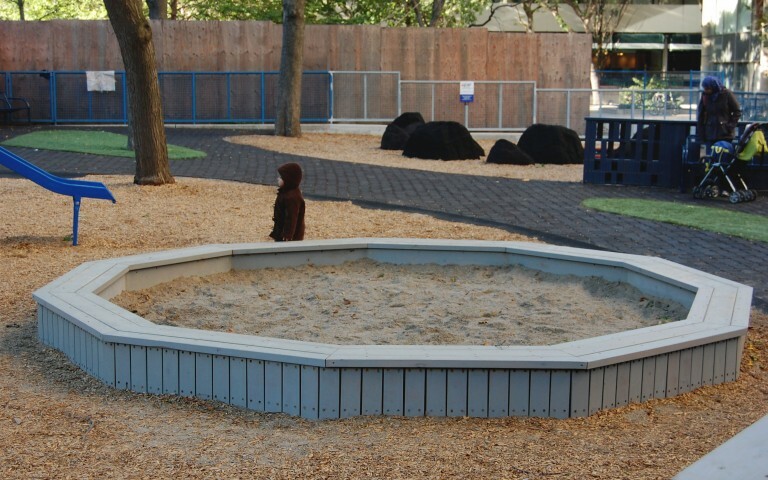 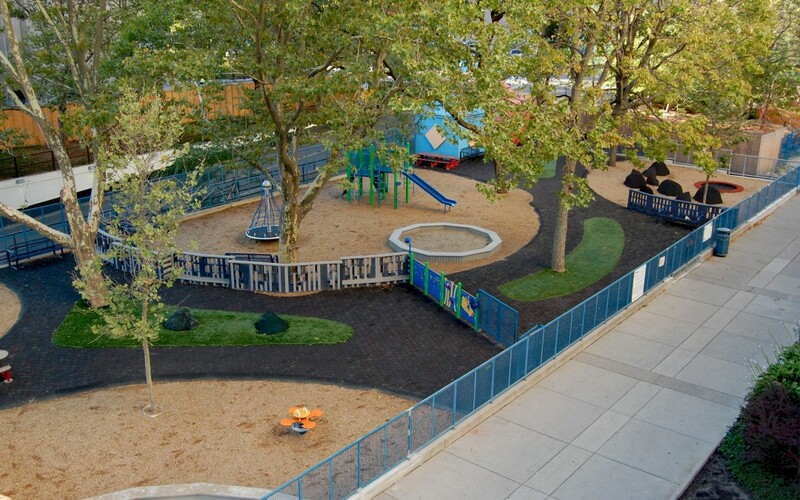 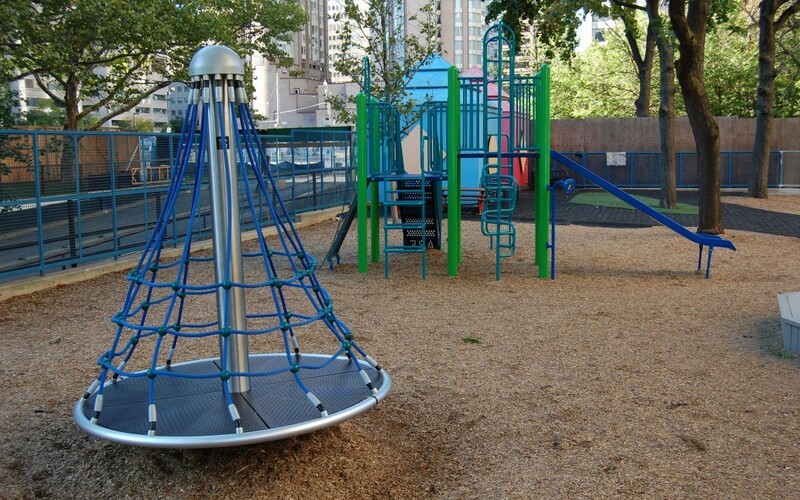 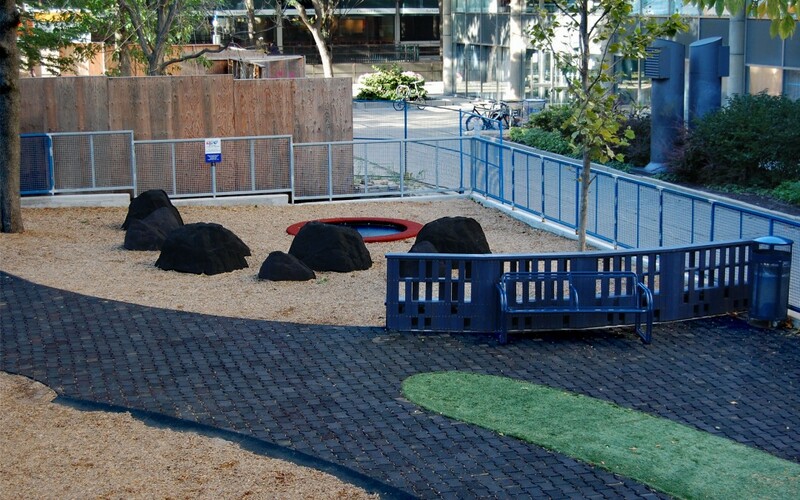 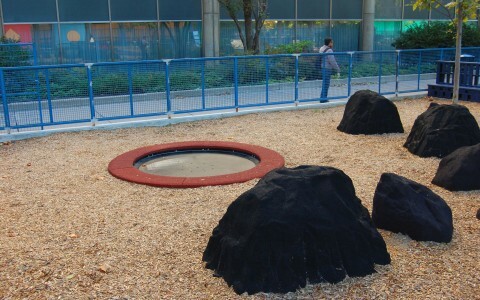 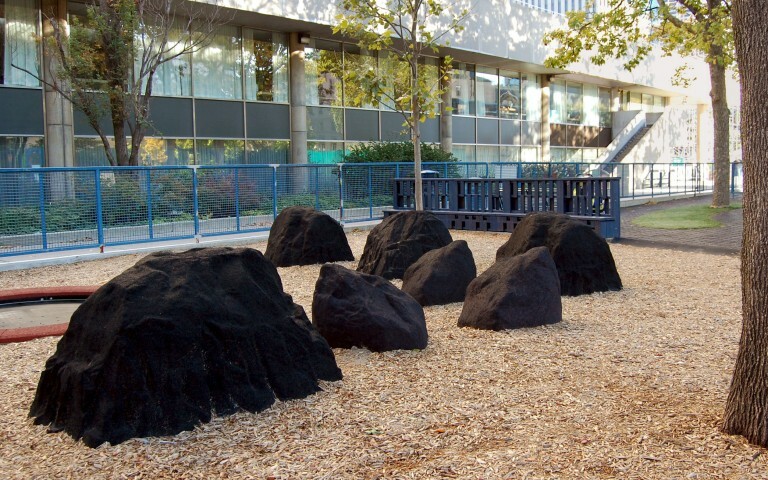 A Toronto playground revitalization project in a land-locked, high profile play space was designated to bring in more woodland surroundings while implementing principles of Leadership in Energy and Environmental Design (LEED). 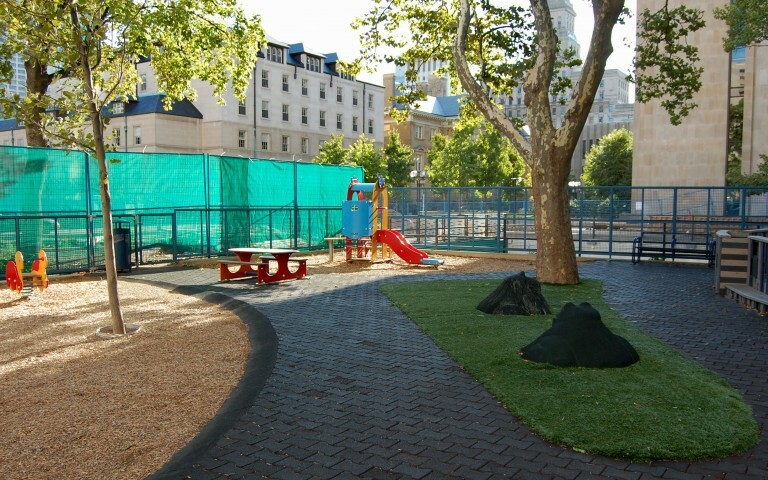 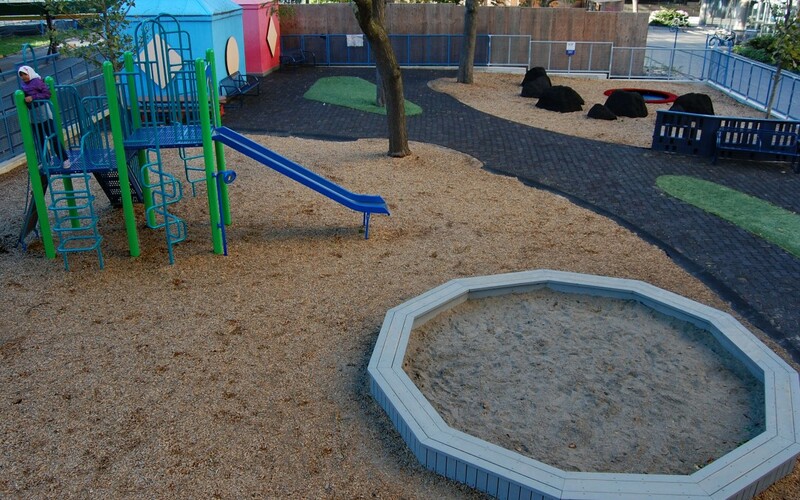 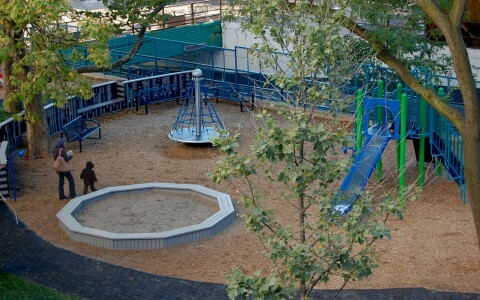 The new design combined the recycling of materials from the original playground with adding more trees, rocks and green space. 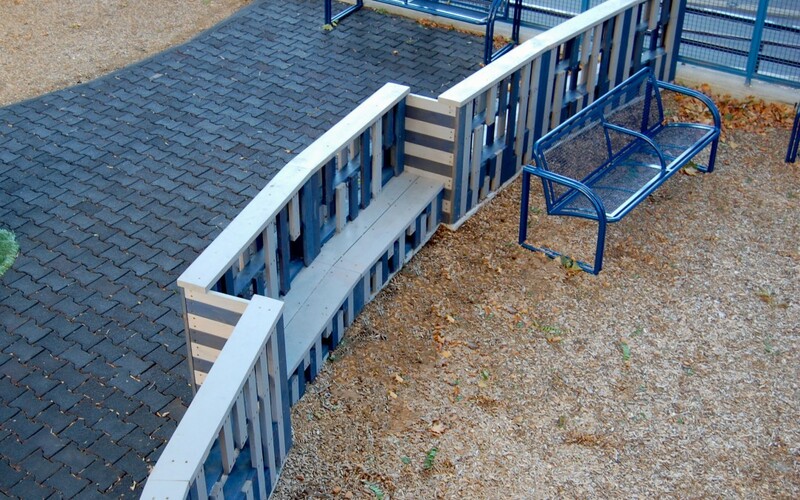 Divided to accommodate 2 age groups, the playground’s custom partition-fence doubles up as child-friendly benches for resting and even contemplative activity. The in-ground trampoline, rotating deck, and climbing structure bids older children to come jump, spin, climb, and be active while the large sandbox inspires digging, construction, and imaginary play. 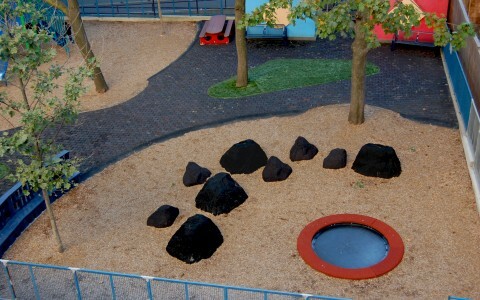 In the tot sector, sculpted rockery grabs the young imaginations while inviting children to climb and conquer.